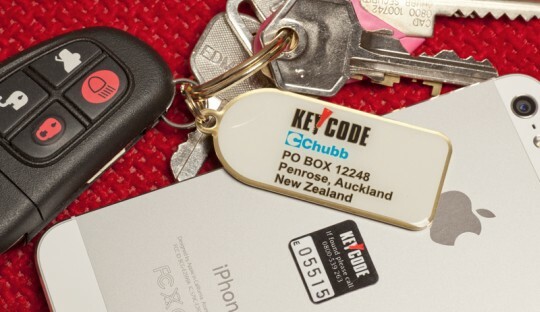 Key Code Key Security Ltd was established in Sweden in 1981 and introduced into New Zealand in 1999. Over this time, Key Code has successfully reunited many happy customers with their lost keys and cell phones - all for a small yearly fee. Reduce the aggravation, worry, time and expense of searching and replacing lost keys and cell phones - how much do you value the information on your cell phone? Quick & convenient return of your keys! 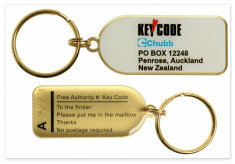 Our Standard Key Security tag has simple instructions for the finder to read and post into any NZ Post mail box. Keys returned to our Post Office Box are collected on a daily basis by a third party security company and we will identify your keys from the security code on the tag and contact you to arrange the free return of your keys by courier. The service is invoiced on a yearly basis - priced from $18.00 + GST for single key tag service (T & C apply). 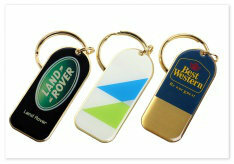 Promote your business with a logo printed key tag! Use it to reinforce your corporate identity within your company or as a gift to your customers - a permanent reminder of your firm’s existence every time your customer uses their keys. A small cost to you - but great value for both you and your customer. Please note - minimum quantities apply. Contact us for individual contract terms & pricing. Don't lose your cell phone forever! Even if your cell phone is locked, the finder can easily read a simple message on the cell phone tag to call Key Code’s 0800 number. Our friendly staff will check the anonymous code provided on the tag to identify your details before contacting you. A 60 minute courier is promptly organized to deliver your cell phone to you free of charge. The service is invoiced for on a yearly basis - Single Service $9.90, Duo $14.90 & Triple $19.90 - all GST inclusive (T & C apply). Key Code Key Security Ltd will contact you and make arrangements for the return of your lost property, as soon as our third party security company notifies us that your keys have been received or the finder of your cell phone calls our 0800 number.